The Women's Fellmaster® GTX® walking boot is recommended by The Duke of Edinburgh's Award - it provides a stylish, modern-looking boot rugged enough for high performance hiking. Made from Pittards® British quality leather the boot is soft and supple providing all day comfort while remaining durable and abrasion resistant. 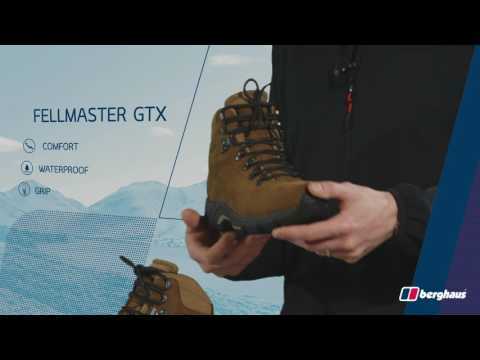 The Fellmaster® GTX® features a sturdy outsole offering superb grip and support throughout your hike. Upper: 2.2-2.4mm Pittards® oiled nubuck leather. Memory foam in the collar and tongue. Outsole: Lightweight three-part trek outsole engineered with high-density moulded midsole, torsional support shank and performance lug pattern outsole for underfoot grip. Lining: GORE-TEX® performance comfort footwear.